The actress Laura Birn is interviewed in English about her career at G Livelab on Thursday at 17.00 – 18.30. The admission is free – welcome! Nordic Flair Award winner Laura Birn has a diverse career in film and television both internationally and in Finland. Now she talks about her career in this year’s NORDIC FLAIR INTERVIEW at G Livelab (Yrjönkatu 3). 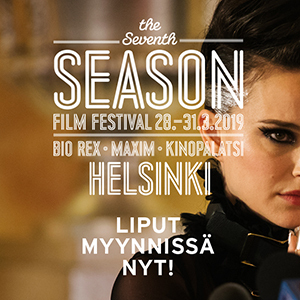 The Nordic Flair Award is given by Helsinki International Film Festival – Love & Anarchy and Finnish Film Affair to a film talent putting Nordic excellence on the map. Birn was awarded for her inspiring roles and diverse international career in film and television, the latest example being her role in the Netflix Originals series Innocents. Laura Birn’s work can be seen during HIFF in Simo Halinen’s KÄÄNTÖPISTE Sept 27th at 3.45 pm in Kinopalatsi 5.